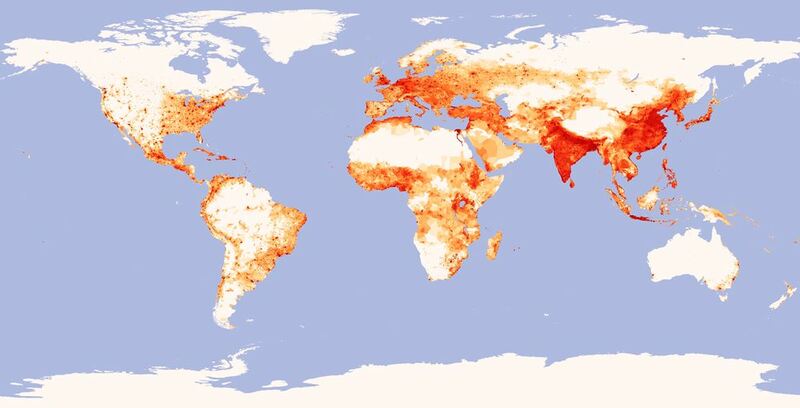 A fascinating map of population density across the world. While India and China’s economies are in full bloom, in terms of population density both places are seeing red. As it stands, India comprises a staggering 17% of the world’s population and sports a population density of 964 people per square mile. For its part, a whopping 1.3 billion people and counting reside within Chinese borders, all of whom contribute to its density of 363 people per square mile.